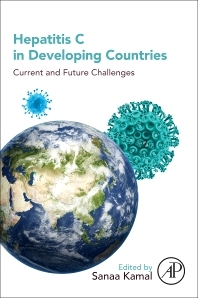 Hepatitis C in Developing Countries: Current and Future Challenges explores the current state of HCV in several countries, including Africa, Asia and South America. It maintains a dedicated focus on the epidemiology, clinical patterns, virologic diversity, coinfections, natural history and progression, complications, and response to standard of care (SOC) pegylated interferon and ribavirin therapy of HCV with recommendations specific to middle and low income countries. Readers will find detailed information on the burden of HCV infection from a global health and economic perspective, along with data from multicenter trials on DAAs that have enrolled patients infected with HCV non-genotype 1. Professor Sanaa Kamal works at the Department of Gastroenterology and Hepatology within in the Ain Shams Faculuty of Medicine. She is a leading authority on the treatment and stidy of hepatitis C.